Wen Luxe is located near Outram MRT, about 10minutes walk up a hill to find the outlet. I didn't take any pictures of the entrance, but it looked pretty disappointing and not luxurious at all. Not like what it was portrayed on its website (which I am not going to hyperlink it since I don't like it). When we got there, we were led to the manicure/pedicure area, which is just after the counter. There weren't much conversation with us, hence I did not feel welcomed at all. Anyway, here are some pictures taken while we were doing our pedicure. Obvious reasons why there are no manicure pictures taken (if you ask me why, please go check your IQ). Moreover, when I closely examine my nails, there are bubbles in it! I'm not sure about toe nails though, i don't exactly put my feet right in front of my face. And at the end of the whole process, it just... ends. That's it. Of course they tried to sell the products, but it wasn't very enthusiastic anyway (not that I wanted to buy). And when I accidentally ruined one nail as I was putting on my sandal, I went back to ask him to touch up la. I think he was kind of annoyed, since he was heading out for lunch at that time. Haiz. 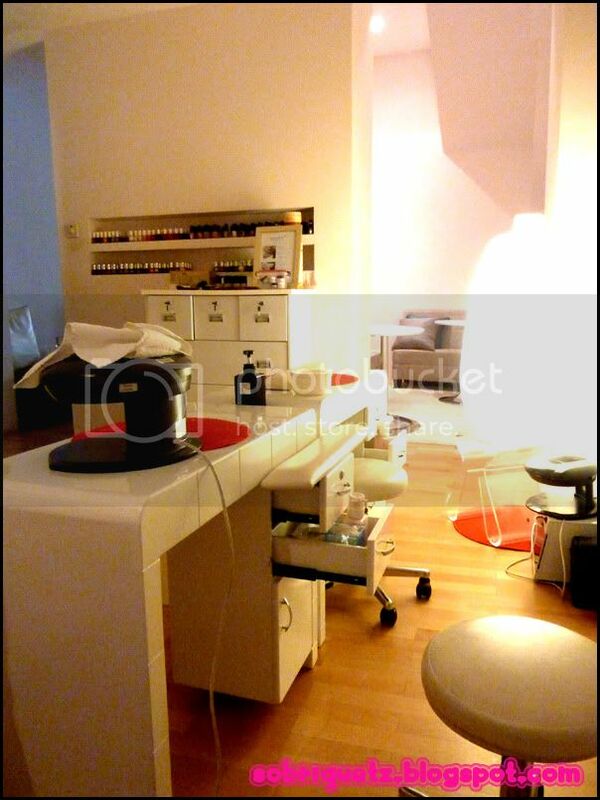 Perhaps the Spa experience is better at Wen Luxe (considering their pictures on their website, though I doubt so) but if you are thinking of going there for your mani/pedi.... please do not go!